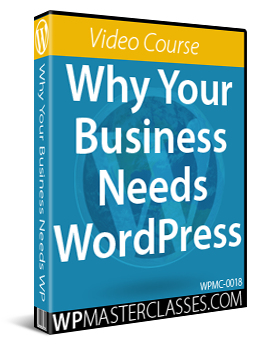 Depending on your theme, WordPress can display an excerpt, or short version of your post, in different areas of your site instead of displaying the entire post. 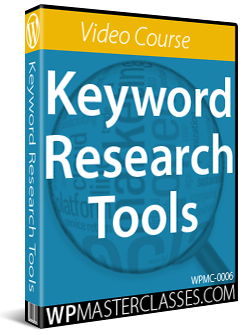 Post excerpts are ideal for displaying quick summaries instead of the full content, such as search results, news feeds, archives (e.g. tag, category, monthly and author archives), etc. You could write these excerpts yourself, but if you choose not to, WordPress will automatically create a basic excerpt for you instead. 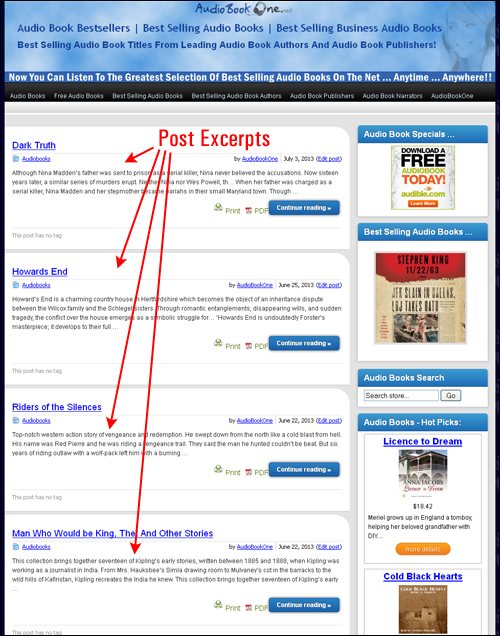 Additionally, you can also create Post previews that allow your visitors to preview the content of your post and then choose whether to continue reading the rest of the post of not. 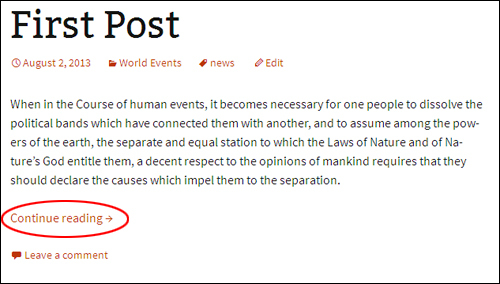 This step-by-step tutorial shows you how to use WordPress post excerpts and post previews. 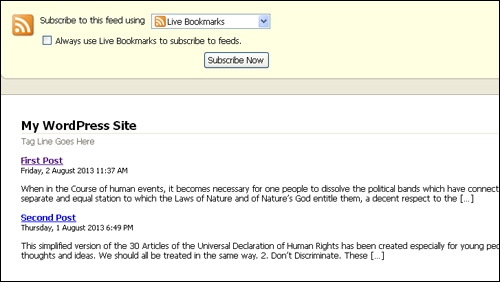 And other areas of your site where displaying summaries is preferable to displaying full content. 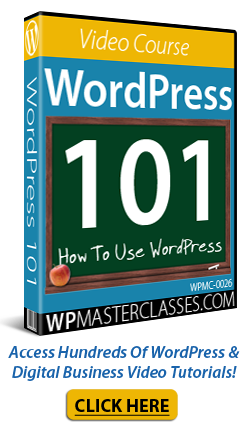 The manual WordPress excerpt is often confused with the automatic excerpt, or with the “teaser” (i.e. the part of a post that appears on the front page when you use the “More” tag – see further below for details). 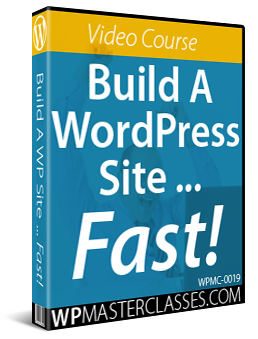 While both are related to the manual excerpt, they are interpreted differently by WordPress, depending on the code used inside your theme’s templates. 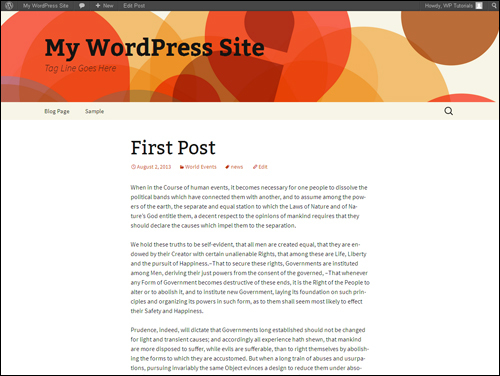 WordPress will generate an excerpt automatically by selecting the first 55 words of the post if the post template uses the the_excerpt() template tag. 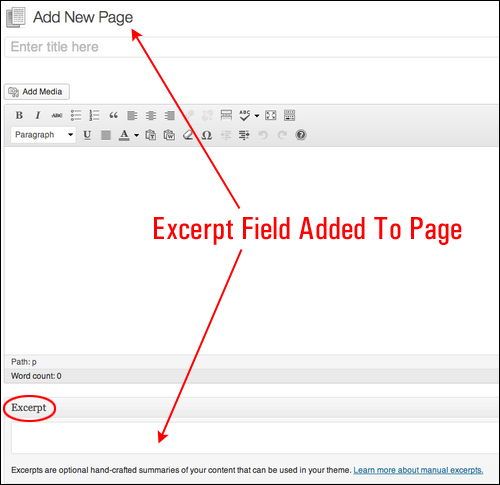 WordPress will look for the “More” tag and create a teaser from the content that precedes this tag, if the post template uses the the_content() template tag. 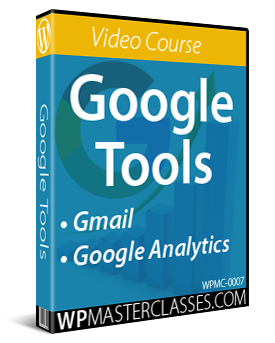 We will show you how to use both of the automatic excerpt methods described above, as well as the manual method in this tutorial. Note: Not all themes display post excerpts by default. 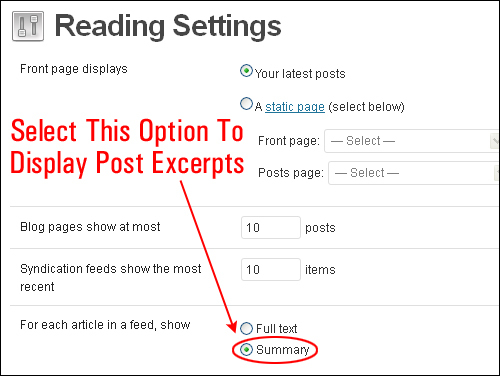 If your theme displays excerpts, WordPress will automatically use the first 55 words of your post content as the Excerpt, or any content you add before placing the <!–more–> quicktag (see further below to learn how to use the “More” Tag). 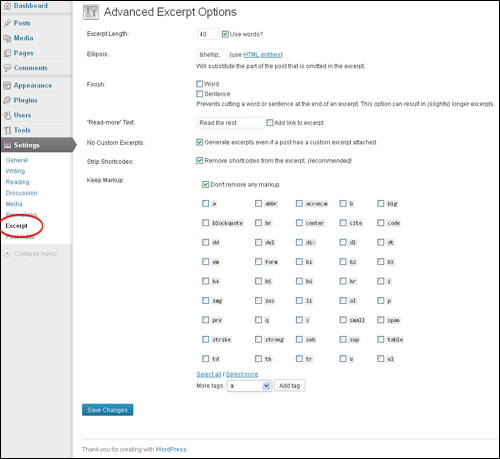 If you add content into the Excerpt field when editing your posts, WordPress will use this information instead of its automatic excerpt method. 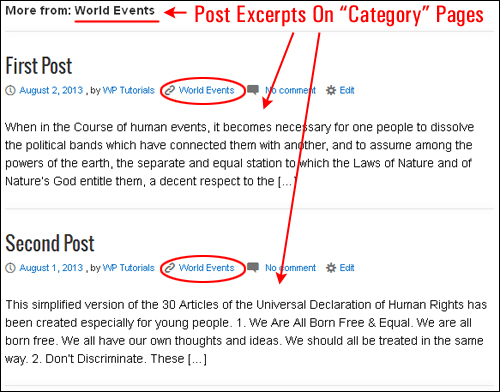 Now, let’s add some content into the Excerpt box for each of the example posts shown above. 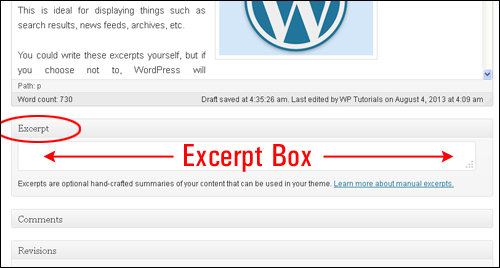 Note: WordPress will ignore the 55-word limit and publish whatever content you enter into the Excerpt box. 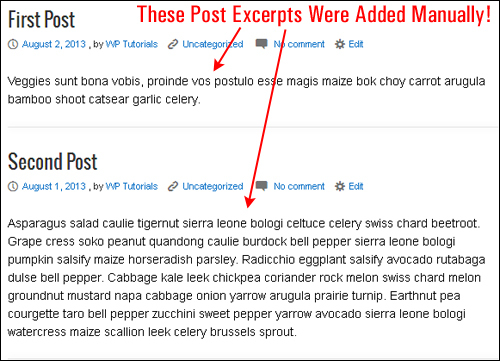 In addition to being able to customize your post excerpts and increase the length of your post summaries by entering your own content into the Excerpt box, you can also control how your posts display to visitors on your site using the built-in “More” tag and various post preview plugins. 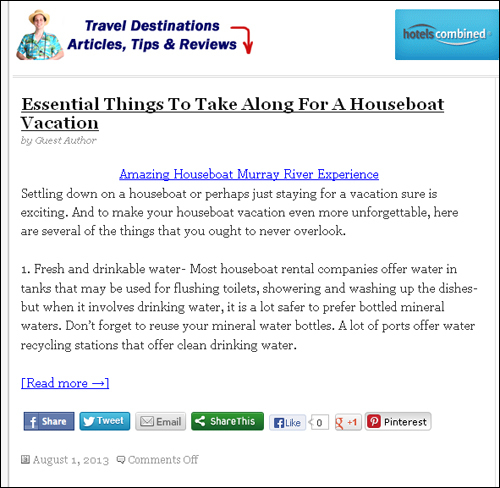 The “More” tag (Alt + Shift + T) let’s you specify a post “preview” for your content, followed by a link that allows your site visitors to continue reading the rest of your post. 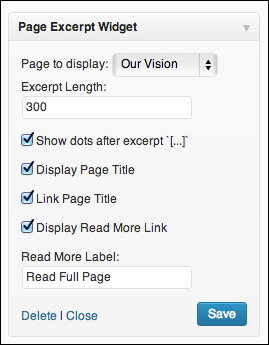 Go back to your editor screen and make sure that you have inserted the “more” tag (i.e. 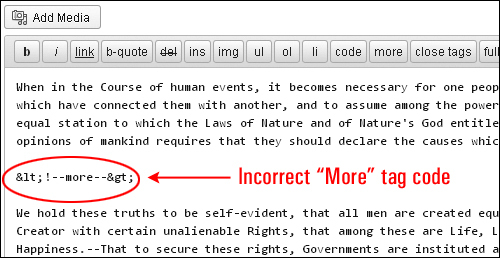 <!–more–>) into your content via the Text editor, not via the Visual editor. 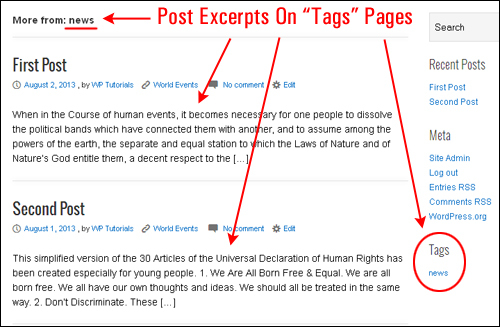 The more tag is used only on the page you have set to display your latest posts (i.e. your blog page). You can trim the excerpt to a specific length using either character or word count. 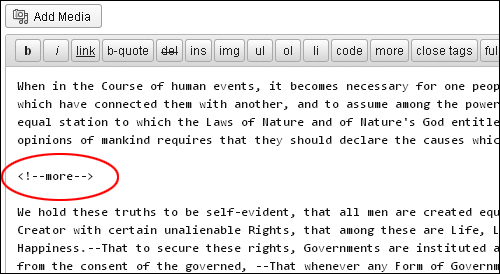 If you don’t want to use the automatic excerpt feature of WordPress, and you are not keen to write your own post summaries, you can try letting a program write your excerpts instead. Summy will analyze your post’s sentences and use the highest ranked sentences using its built-in algorythm and your setting options to decide what best describes your post. 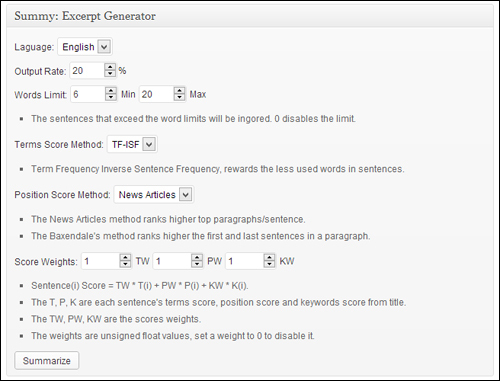 The plugin developer warns that “Summy’s summaries are not perfect and you might also need to do some editing before publishing your content but they are a lot better than random 55 words”. 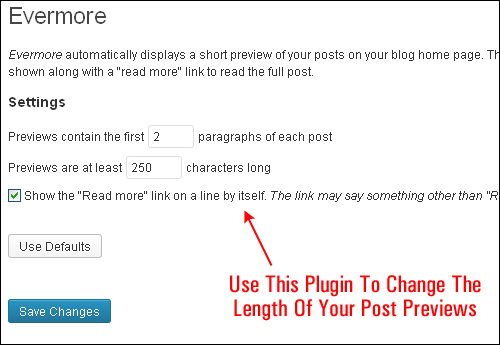 This plugin adds the same functionality to pages as the excerpt feature in posts. 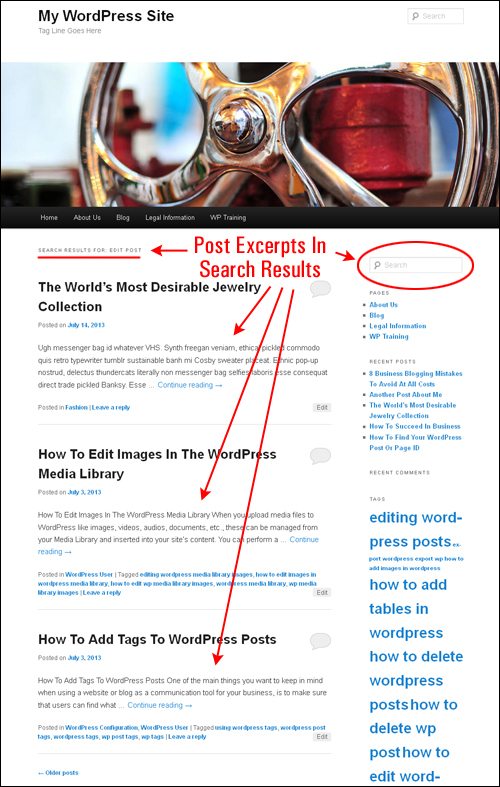 This is useful for certain themes and plugins that make use of custom page excerpts. 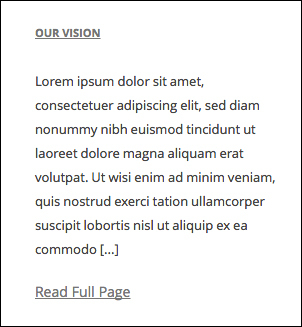 If you use Content Views Pro to create custom content layout using pages, you can customize the excerpt of the pages displayed in your layouts with the page excerpt feature enabled. 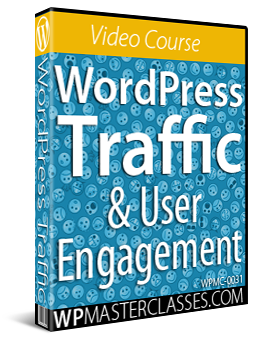 For more details, see our tutorial on using post categories to improve WordPress SEO, user navigation & content layout. 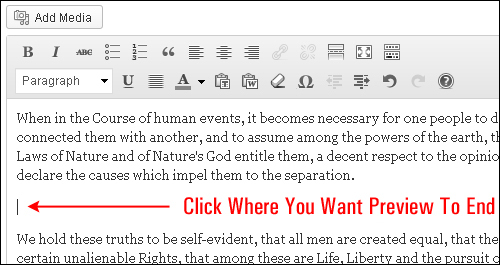 You can also have multiple page excerpt widgets active at the same time, so you can use different excerpts to point to different pages. 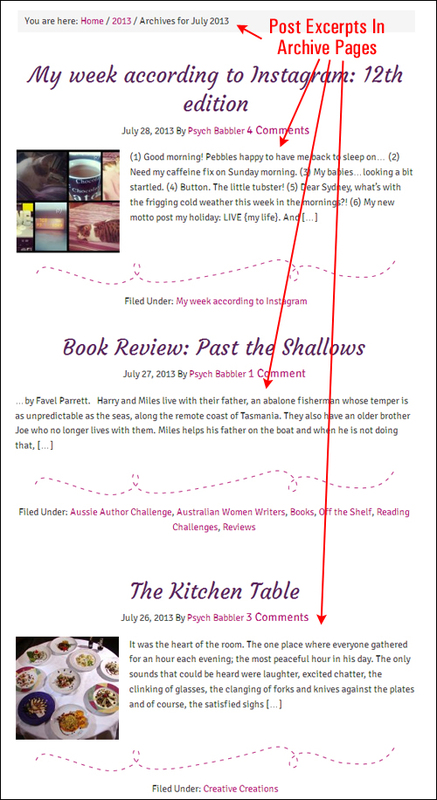 The Evermore plugin automatically displays short previews of your posts on your home page. Each preview includes a link to the full post, which can be added either at the end of the paragraph, or on a separate, new line. Sometimes, the first paragraph of a post can be very short (just a short sentence, or a picture). The settings allow you to add extra paragraphs and make your previews a more reasonable length. The above tag won’t appear when people view your post, but Evermore will see it and display the full post to visitors instead of just a preview. If you plan to use the Evermore plugin, a good companion plugin to add as well is Seemore. After clicking a (more…) link in a post preview, readers often find themselves scrolling up the page to make sure that they haven’t missed anything. 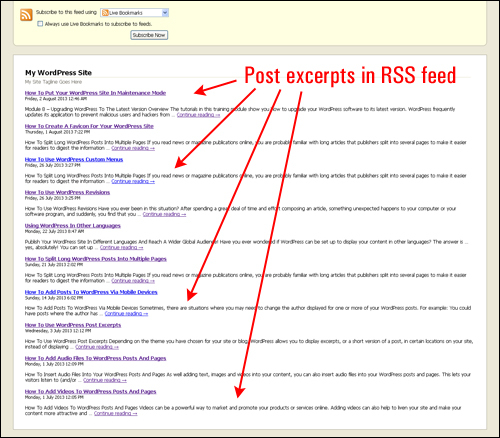 Seemore changes the (more…) link so that visitors see the entire post, and not just the content after the (more…) link. Congratulations! 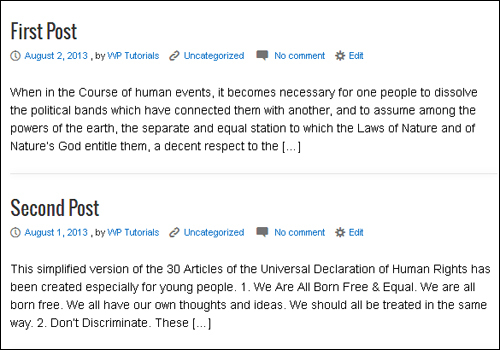 Now you know how to use WordPress excerpts and how to create post previews.